When it comes to mobile plans, those that come bundled with a handset tend to steal the limelight, but if you’ve already got a phone you’re happy with, then SIM-only plans present an excellent opportunity to save some money. As the name implies, a SIM-only plan is any plan that doesn’t bundle in a phone, whether it’s on a 12-month contract or a no lock-in situation where you simply pay month-to-month, there is often a great deal of value to be found in these plans. To make it even easier for you, we’ve gone through each of the SIM-only providers available to Aussies right now and have hand-picked the best deals we’ve come across, whether they’re big on data, low on cost, or an excellent middle-ground overall. 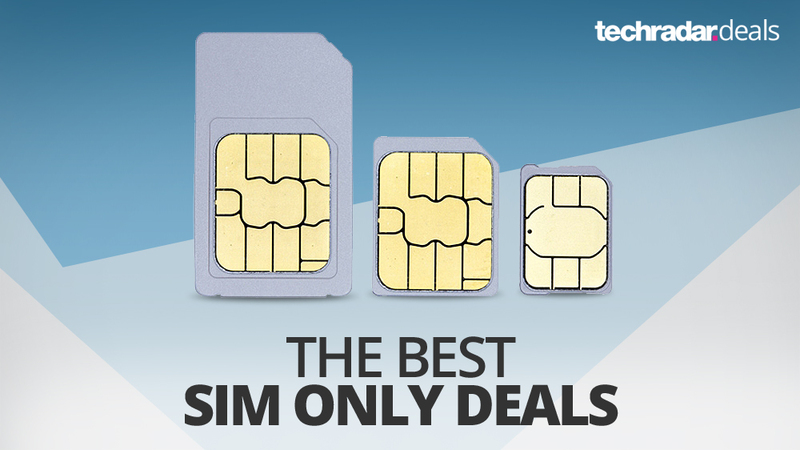 You’re coming to the end of your contract and your phone is still fighting fit (if it isn’t, then head to our best mobile phones deal page to see what plan you can grab alongside a phone), but otherwise going SIM only on your current phone is a no-brainer. You’ll wind up paying much less than you are under contract, and you can often stick to a rolling month-to-month arrangement so that if your circumstances change, you can change with them. It’s time for a shiny new smartphone and you want to get the best value humanly possible. You’ll have to find a few hundred bucks (or thousand at this stage) up front for the handset (be sure to check our SIM free comparison chart) but you’ll end up better off at the end of it all. Plus, if you’re a commitment-phobe, most SIM-only plans don’t require you to sign up for two years like you would with a normal contract. There are three sizes of SIM card that you can get for your phone, and the one you need will depend on your handset. It’s been a while since the traditional, so-called standard SIM (15 x 25mm) has genuinely been the staple in new phones. Instead, any phone you’ve bought within the last five or so years is much more likely to require a micro (12 x 15mm) or nano (8.8 x 12.3mm) SIM – the iPhone 5 was Apple’s first mobile with a nano SIM, while Samsung began using the smallest size in its Galaxy S6. Unlike with a contract, there’s a lot more flexibility available when it comes to how long your SIM-only plan will last. Two year commitments are virtually unheard of, with the norm being either one year or rolling one month contracts for ultimate flexibility. You can often get better prices if you tie yourself in for 12 months, especially on larger data tariffs. But sticking to one month at a time means that you can effectively hand pick a new plan to suit you every 30 days or so. 0-1GB Tiny amounts of data on SIM only plans could be a blessing or a curse. If you’re putting it in a rarely used phone that will scarcely be away from wi-fi then it makes total sense. But if you end up with one because your head’s turned by the incredible price, then you could end up paying more if you continually go over your allowance. 4-8GB If you can’t leave the house without having a music streaming service like Spotify pouring into your ears, then it might be worth paying for some extra GBs of data. 10-16GB This is a significant amount of data and some networks offer it for a very appetising price. Whether streaming music, downloading podcasts, watching social media videos, or all three is your thing – you should be covered. 20-30GB Only smartphone junkies that need regular (and hefty) data fixes need bother with this avalanche of GBs. You’ll be able to rinse Netflix, Spotify and online games without too much fear of topping out.